Kim Morrissey is a will dispute and family provision barrister with over 38 years experience in litigation assisting people to resolve their will dispute claims. As a barrister he appears regularly in the Supreme Court of NSW, briefed by solicitors from all over Australia in will dispute cases on behalf of clients. Kim specialises in family provision, probate, will dispute claims, construction of will cases, trusts and equity, and commercial law. He graduated in Arts and Law of the Australian National University, Canberra, and was first admitted as a barrister and solicitor of the Supreme Court of the ACT in 1974 and as a solicitor of the Supreme Court of NSW in 1974, and of the Supreme Court of the Northern Territory in 1988. Kim practised as a litigation solicitor in partnership in Sydney (1978 - 1985) before commencing at the Sydney Bar in 1985. Since admission as a barrister he has developed his legal practice in the areas of Wills and Probate (including contesting a will and Family Provision Act claims) , Equity and Trusts, Commercial Law (including contractual disputes and business disputes). As a barrsiter, he has acted for clients who reside outside of NSW, in other states and territories of Australia, and overseas, either "ex-pats", or permanent residents of an overseas country who are involved in a matter in a court in New South Wales. Kim has served as a member of a Professional Conduct Committee of the NSW Bar Association and an occasional instructor with the Readers' Program of the NSW Bar Association. 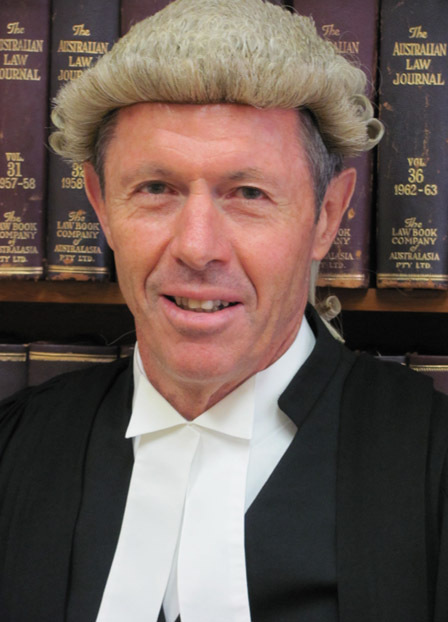 He has been an arbitrator since 1983 and a mediator since 1985, has delivered lectures to solicitors and other barristers as part of their professional requirements to have ongoing legal education, and has published and presented a number of papers relating to litigation skills to legal practitioners in NSW and the ACT.